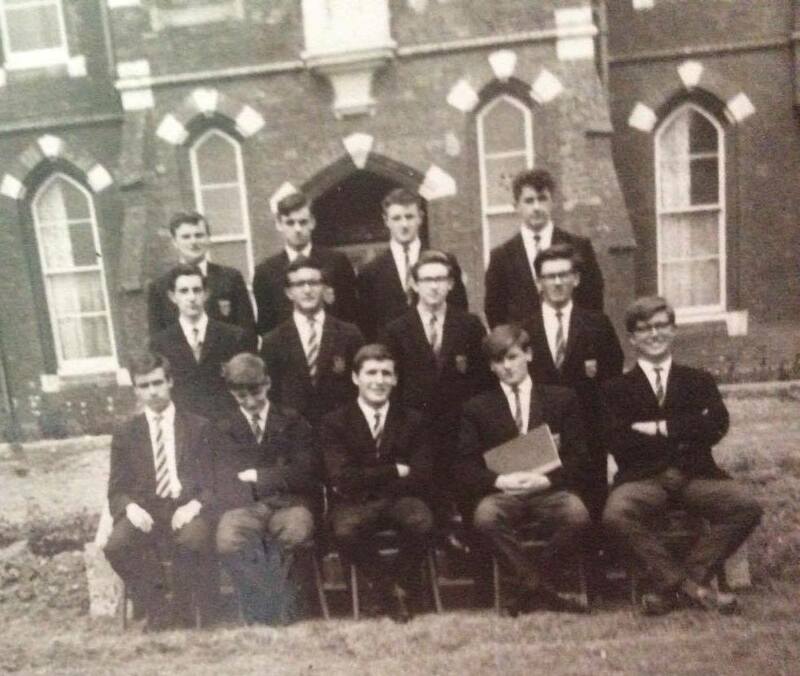 Staff at The Priory in 1966. Taken by one of the huts at The Priory. 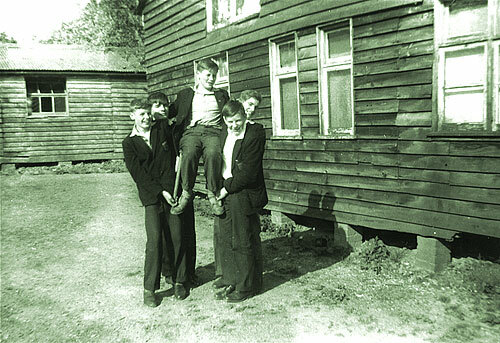 Joe McIntyre (elevated) Chris Campbell (front) and Tony (Broado) Baggott (behind Chris). 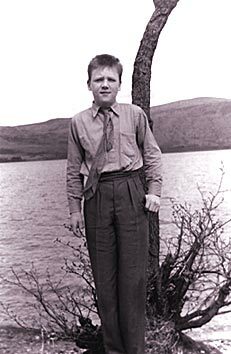 Tom Russell, on the banks of St. Mary's Loch, Roxboroughshire. 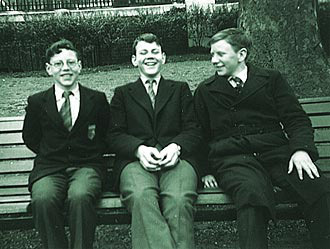 (L-R): Richard Shann, Chris Cooper and Chris Campbell. 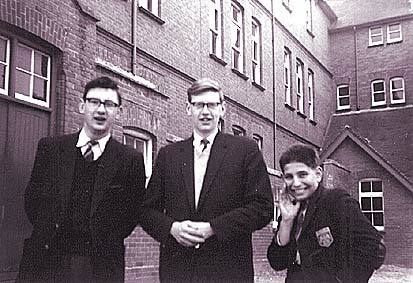 (L-R): James Murray, George Dunnion and Ian Netton. 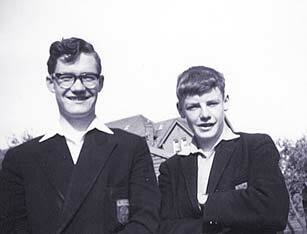 brothers who came from Barrhead near Paisley. I think that this is James, the younger brother."